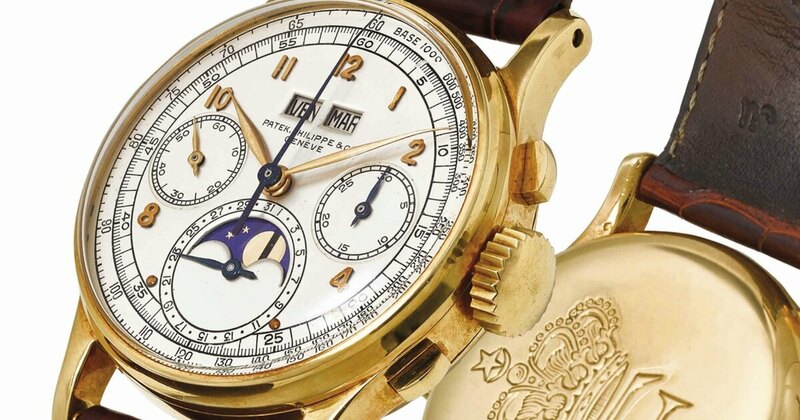 An extremely fine, rare and historically important 18k gold perpetual calendar chronograph wristwatch with moon phases signed Patek Philippe & Co, Geneve, Ref. 1518, Movement No. 867’528, Case No. 657’236, Manufactured In 1948 will be sold by Christie’s during an auction in Dubai at Jumeirah Emirates Towers Hotel on 23 March at 5pm. The estimated price is between USD 400,000 - USD 800,000. For more about this, visit Christie’s here. Case: 18k gold, snap on back, two rectangular buttons in the band, 35mm diam. A total of only 281 examples were produced. The model was later replaced by the reference 2499, and has inspired the design for subsequent perpetual calendar chronographs. 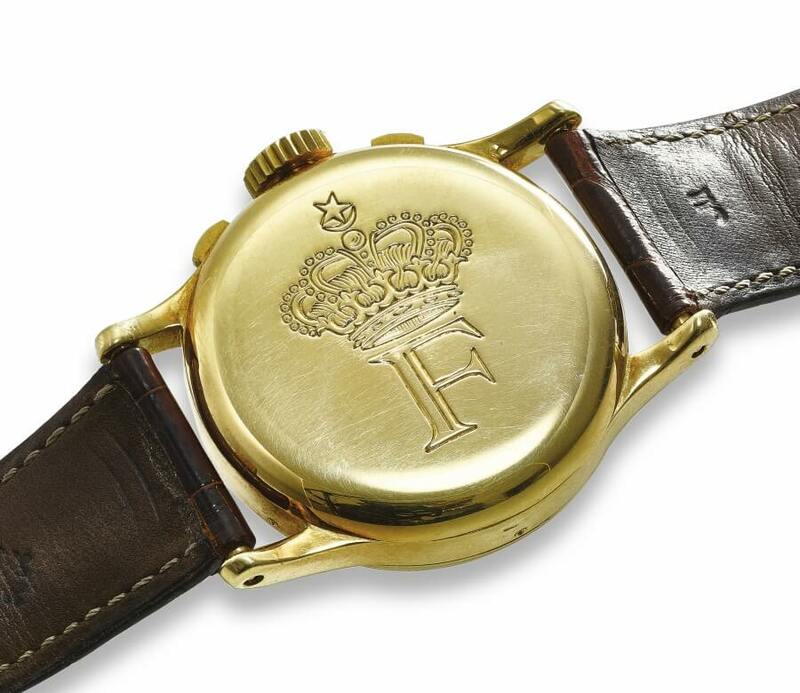 As the first perpetual chronograph to be made in series by any maker, the reference 1518 quickly attracted the attention of royalty and the privileged, including King Farouk of Egypt, the King of Jordan, and of course Henry Graves, Jr., arguably the greatest watch collector of the 20th century. Interesting, approximately half of all reference 1518s were sold to America during its short production run and watches, and examples such as the presently offered watch, were bought by Americans who wanted to buy the best that money could buy. The 1518 was a design first, setting the template for all of its ‘descendants’ with its basic layout — apertures at 12, two subsidiary dials at 9 and 3, and a moonphase at 6. Its square push buttons, attractive mid-century aesthetic, and beautiful raised enamel dial tachymeter make this watch the timepiece of choice for experienced collectors today. The present watch is a fine example of the reference 1518, having recently been serviced by Patek Philippe Geneva in 2013. The service papers indicate the lugs were restored by Patek Philippe in their workshops by the special request of the family of the original owner of this watch. The original dial was untouched during the service and is one of the most beautiful 1518 dials known to exist in terms of condition revealing the beauty of its raised enamel signature and warm patina developed over its 66 year history. 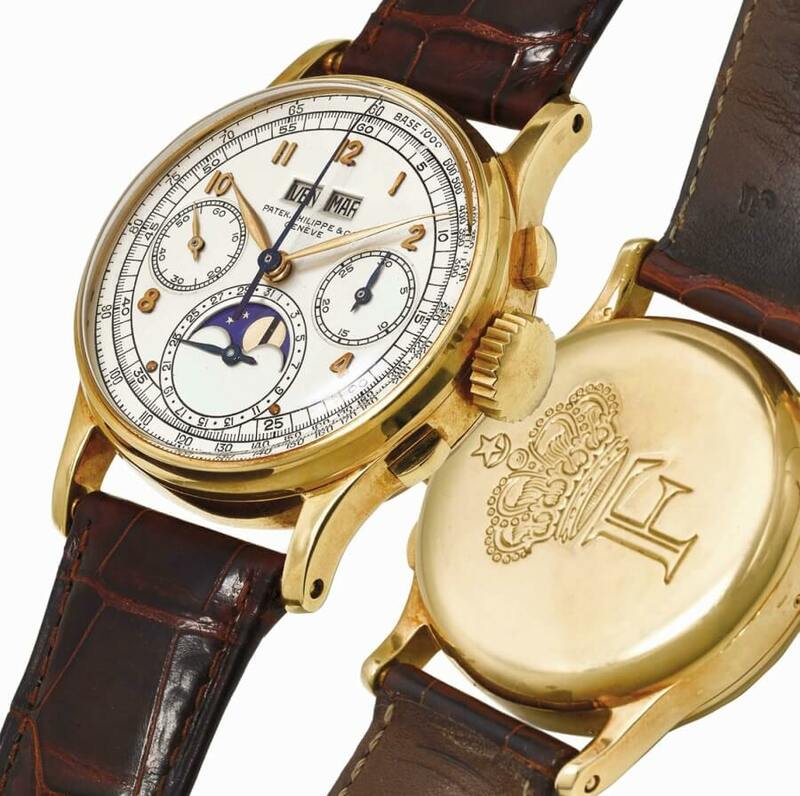 It is interesting to note that the movement bears the stamp HOX, which confirms that the watch was made for the American market, and was imported by the Henri Stern Watch Agency, the American representative for Patek Philippe. The inside of the case back is stamped Poinçon de Maître key 9, which is also known as a Collective Responsibility Mark. This stamp indicates the case was made by Emile Vichet S.A. in Geneva, a firm known for crafting cases for numerous complicated Patek Philippe watches. The reference 1518 is now a treasured and collectible timepiece, seen by many Patek Philippe connoisseurs as the crown jewel of their collection. 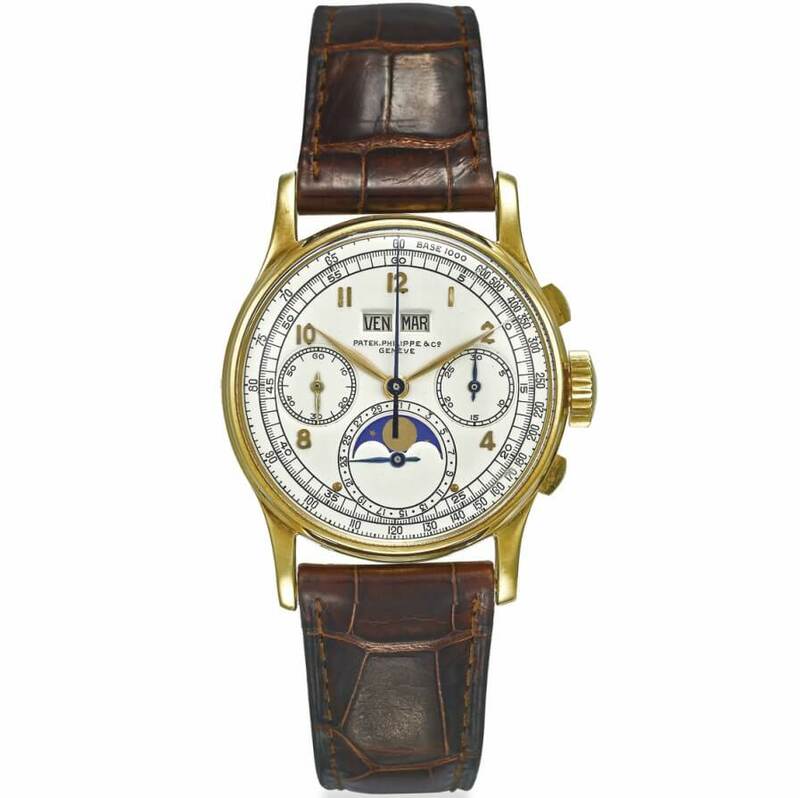 Examples of reference 1518 are illustrated in Patek Philippe Wristwatches by M. Huber & A. Banbery, 1998, plate 386, page 231. For more visit Christie’s Online.